To raise funds for continuing maintenance and improvements to our Dog Park! With our community partners in hosting this event ,we are encouraging parents /guardians and all community adults to share this post and mark the date on your calendars . A serious and important topic that will provide awareness and important take away information. 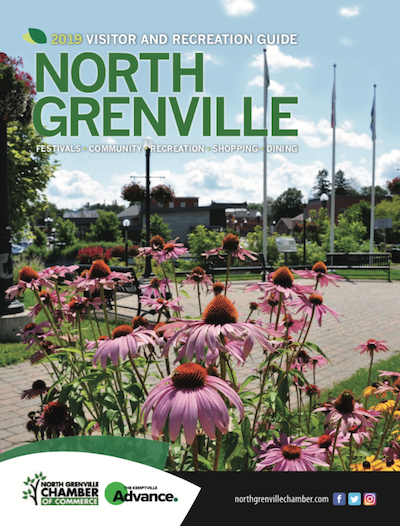 Register for free at: https://www.eventbrite.com/e/north-grenville-chamber-annual-general-meet... or email info@northgrenvillechamber.com to reserve you spot. Entertainment by Sherri Harding along with a 5 course meal and an open bar! Tickets for "A Taste of Hospice" will go on sale in early March, and will be $35.00 per person. We look forward to seeing all of you on May 4th at this appetizing event! For more information please contact program@bethdonovanhospice.ca. Now that the New Year is here, mark all your calendars for the 3rd Annual Big Band Dance Saturday April 27th at the North Grenville Municipal Centre!! Beth Donovan Hospice invites you to join us for a free art workshop for children and families who have experienced the death of someone.